It's been an exceedingly long time since the world last heard from Alrugo, and we apologise immensely for this; the italian spiderfans and spiderpreciators deserved better. 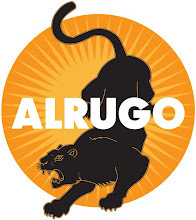 It is my solemn duty to report that Alrugo is no more. Thank you all for the support and for coming into our crazy world; we appreciate each and every one of you, and thank you for watching! Sad news for the us, I hope good news for you. Noooo ... where do we go from here? Is there no hope? please let us know about any solo projects you take on! bad news boys, but the more your stuff you made, gets holy! I can't believe it! I want more Italian Spiderman! AHHHHHHHHHH (panicking)!!! you'll pay for this. ciao. Noooo, bastardi! Give us another project, Italian Spiderman was one of the best movies I have seen in ages. How do I get my hands on a real copy of Italian Spiderman? I need it! WE NEED A DVD RELEASE!!!!!!!! Hollywood is going to circle this until they can secure the rights and then cast the wrong actor - some former boyband star - and insert the script from "The Brady Bunch" or something. They will murder the memory of it and all I will have left are fantasies of what might have been. Sad to hear the news guys, you did some amazing and fun work. Hope you continue on with film in some form or another. At least you inspired us in one thing, that anyone can make a film project if you have the imagination and drive. Sounds lame, but you definitely inspired me! Goodnight and good luck. Well, I hope you can repair any of the broken friendships and goodwill you may have bulldozed making this - brilliant, funny, inspired and artistically bonkers - film. I had no idea until now that this went beyond the original trailer. That it actually exceeded any expectations and in serial form is a testament to the insanely hard work you and your crew put into it. I only hope you dissolved Alrugo due to getting paying work and not due to the mind-numbing stress of filmmaking. And Finally, WAH! I missed out on the t-shirt!!! you came, shining into the sky, and then just went by. Make a community forum, so we will still be in contact! not sad news but its like sad not sure boys "The Brady Bunch" or something. They will murder the memory of it and all I will have left are fantasies of what might have been. i keep showing everyone i meet this movie and there is some mixed reactions. after several viewings i became desensitized to the machiato pussycat scene so now i just laugh like a maniac while my new friends look on in horror. was this your plan all along?